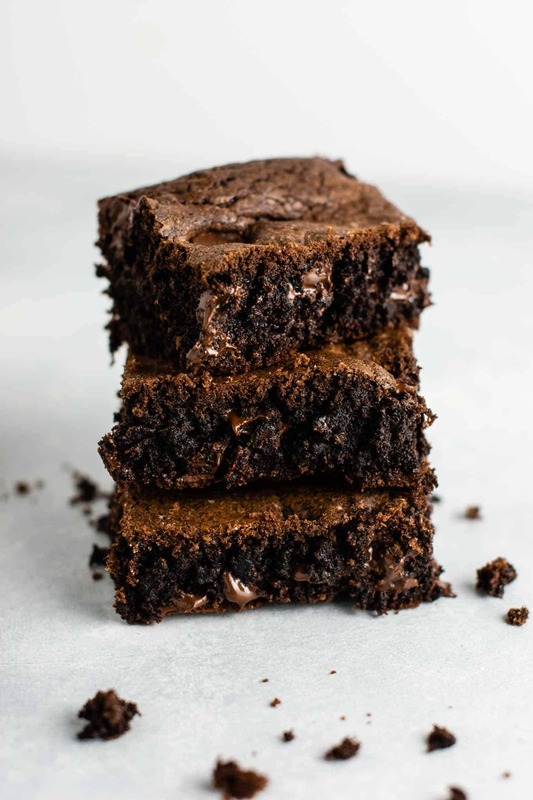 These cake mix brownies are a ridiculously simple dessert that you can throw together in about 5 minutes flat. 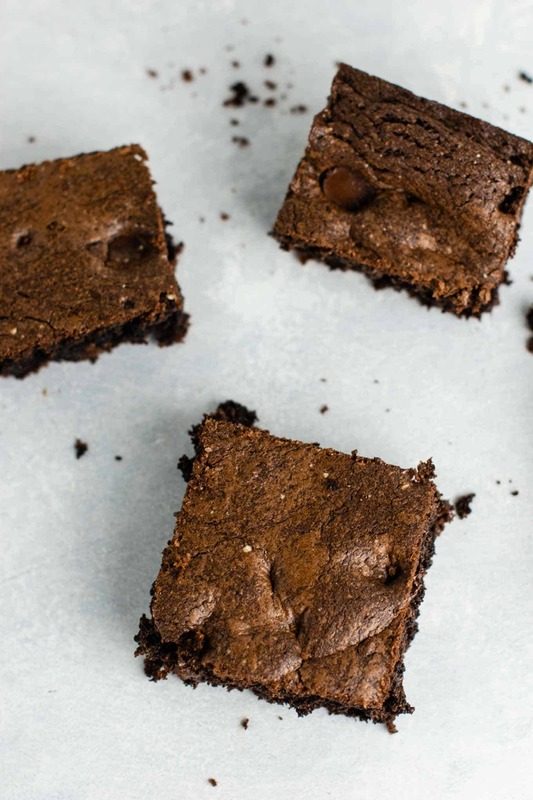 Don’t have brownie mix on hand? I got you covered. 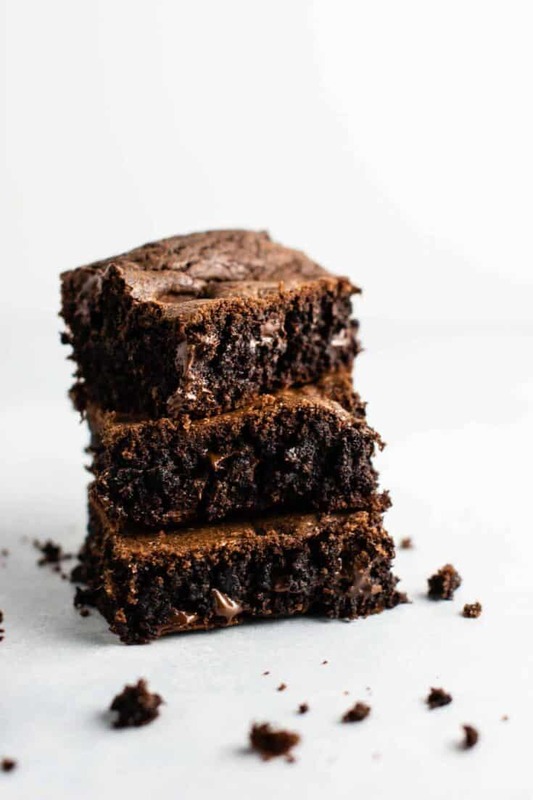 This recipe uses just 5 ingredients: chocolate cake mix, olive oil, eggs, vanilla extract, and chocolate chips. My cake mix cookie bars were such a hit with everyone who makes them, and I decided to create more recipes featuring cake mix! 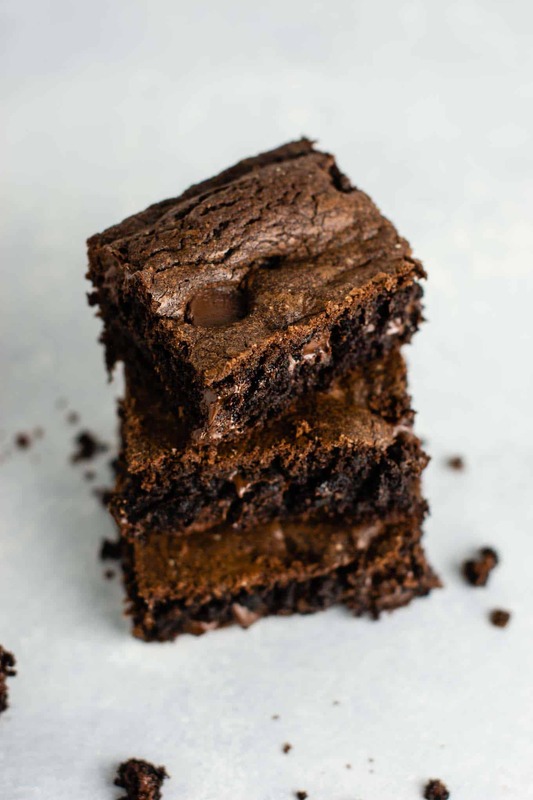 While I love a good dessert made from scratch, sometimes you need those secret weapon recipes to throw together a crowd pleasing dessert in only minutes. First, you’ll need a box of your favorite chocolate cake mix. For this recipe, I used Duncan Hines Dark Chocolate Fudge, but any chocolate cake mix will work. Add the cake mix, olive oil, eggs, vanilla extract, and chocolate chips to a large bowl. Use a rubber spatula or spoon to mix until completely combined. Spray an 8 X 8 baking dish with cooking spray, then add the batter in. Smush it down into the edges, and flatten out any lumps. Bake at 350 degrees until done, around 20 – 25 minutes! Allow to cool completely before cutting for easiest results. If you’re like me, this is pretty much impossible! I have been known to ruin batches of brownies because I just couldn’t wait to dig in and try one. Share these at a party, with your friends and neighbors, or just make it for yourself when you deserve a treat. Hungry for more easy cake mix recipes? You’ve got to try my cake mix cookie bars – everyone loves them! Like this recipe, they are only a few ingredients and so easy to prep. Perfect way to use up that cake mix you already have! Cake Mix Chocolate Chip Cookies are always a winner! Another favorite of mine is cake mix banana bread – my son loves helping me make up this easy and yummy snack! If you’re in the double chocolate cookie mood, these 4 ingredient chocolate cake mix cookies will hit the spot! Be sure to pin this recipe for later! Did you make this recipe? Be sure to leave a star rating below!